Pearlfisher explores the future of the frozen category. Since its heyday in the 1970s, frozen food has become static, functional and uninviting. As consumers become increasingly demanding in their expectations of convenience and health, the category is struggling to overcome its ingrained reputation. How can frozen food brands – both beloved icons and bold challengers – harness the power of innovation to reinvent perceptions and re-inject desirability into a cold category? In a post-recessionary economy, consumers perceive frozen goods as processed, value-driven and of a lower quality than fresh produce. And, why wouldn’t they? A sea of ‘perfect plate’ pack shots plastered across uniformly boxed and bagged products, the frozen aisle is generally a depressing place to be, while products whose contents ‘clatter’ ominously when shaken do little to evoke freshness or deliciousness. Add to that the physical barrier of condensation-glazed freezer doors and brands are forced to deal with the mammoth challenges of shelf-standout, navigation and discoverability. Despite this, however, the future’s brighter than expected for ‘frozen’: The Grocer reports that consumers spent an extra £11m on frozen meals in 2016, driven largely by meat-free and desserts. So, while certain products are contributing to the erosion of the category’s market share, demand for convenience-driven frozen meals is promising; consumers just need a nudge in the right direction. And that’s certainly not an impossible task, as has been proven by the recent catapult to cool for veganism and alternative proteins. To help, we’ve defined the top 3 areas of focus for frozen brands to help defrost the frozen category in the hearts and minds of consumers. The days of ‘frozen’s’ synonymy with diced vegetables and fish fingers are numbered. Consumers now expect access to healthy, convenient options all year round, and frozen brands are in a unique position to answer that need without the seasonality challenges that fresh brands face. The rise in demand for frozen berries as juicing becomes ever more popular is evidence of this, as is Tesco’s move to extend the shelf life of our favourite superfoods with their introduction of frozen avocado slices. ‘Frozen’ needs to reappraise its health credentials by reflecting what consumers have come to expect from fresh. 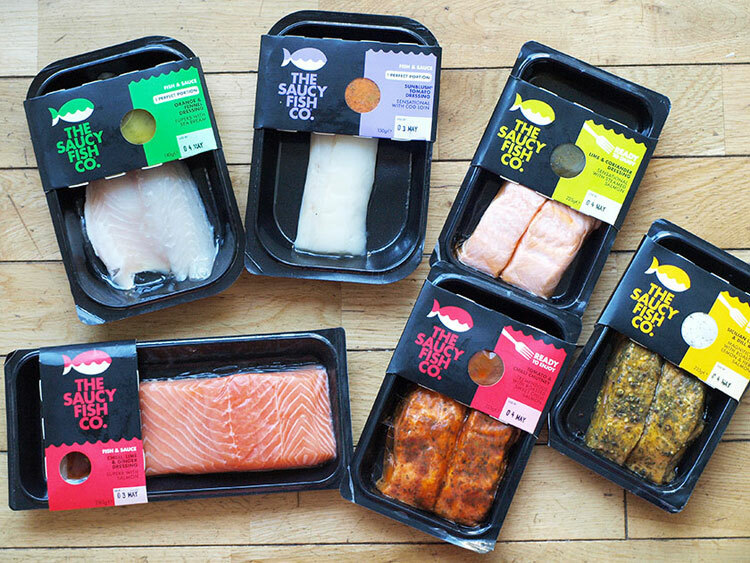 ‘High protein’, ‘gluten-free’ and ‘vegan’ options in different formats to suit different meal and snacking occasions should be as easily available in frozen form as they are in every other supermarket aisle. Vegan ‘frozen smoothie’ brand Frill – a healthy alternative to ice cream that can be used in smoothies, breakfast bowls and raw desserts – is an excellent example of a brand harnessing a frozen format to empower consumers with choice rather than restrict them, while Californian startup Sambazon is bringing the lauded açai berry to the masses with frozen sorbets, power packs and breakfast bowls. 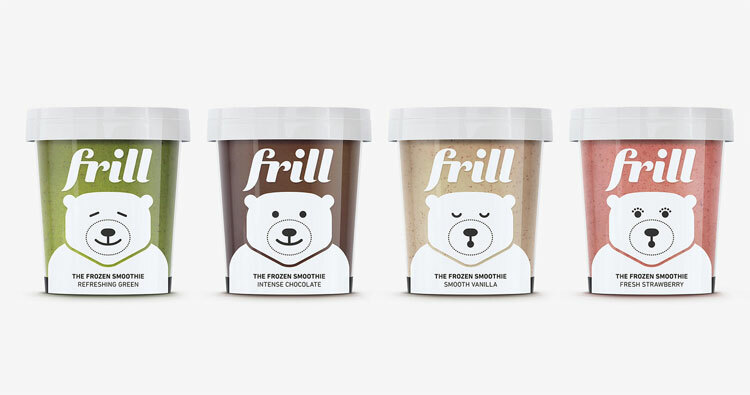 Frill – a healthy alternative to ice cream – is dairy-free, gluten-free, high in fibre and made with no added sugar, sweeteners or artificial ingredients. Innovation in product development is pointless, however, without corresponding innovation in branding and packaging design to communicate the benefits. Packaging has the power to maximise our enjoyment of the food by ensuring a seamless freezer-to-table user experience – from grabbing our attention on-shelf to defining our interaction with the final product. Visually, the opportunity for ‘frozen’ is obvious. In a sea of same-y, sedentary cut-and-paste food shots that look processed or artificial, brands have an opportunity to reinstate respect for the food inside frozen boxes. By introducing premiumisation principles and disruptive design languages, brands can force positive reappraisal of the category by re-establishing its provenance, quality and convenience credentials. We worked with Nestlé to rebrand Lean Cuisine with a bold, colourful, feminine expression that is balanced and strong, just like the women it appeals to. Against a backdrop of a long-term declining market, the rebrand reversed Lean Cuisine’s fortunes, catapulting the brand into growth for the first time in seven years. Beyond graphics, a compelling opportunity exists for brands to get creative with packaging structure, from the simple use of windows to better connect consumers with the product inside, to how form itself becomes an integral part of the preparation and presentation of the food, bringing care and consideration into the category. Within a month of the launch of Lean Cuisine’s new design, the brand went from a 20% decline in sales trend to 15% sales growth with no promotion of any kind beyond the impact of the brand in the hand. The biggest opportunity for ‘frozen’ lies in the ‘posh product’ boom, particularly as more and more retailers are bringing luxury frozen products to market under the private label umbrella. Even Iceland, at the far end of the value spectrum, is finding ways to premiumise private labels: its ‘Slimming World’ range, with its aspirational lifestyle branding and affluent target group, has been a sweeping success, whilst the higher-end positioning of independent brands like Cook and Decent gives them credibility and a selling point to exploit. 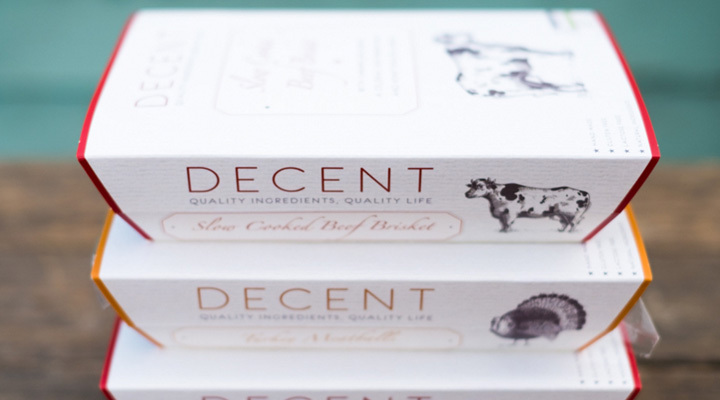 Decent’s range of low-carb, minimally processed ready meals is proof that the health and wellness trend hasn’t bypassed the frozen aisle. With products like frozen sushi, lobster and asparagus tips drawing consumers’ attention to the depth of choice ‘frozen’ affords, premiumisation empowers brands not only to distance their offerings from cost-cutting but to develop revolutionary brand languages that bring energy, excitement and impact to a category previously defined by its norms. Just as challenger brand Gü has disrupted chilled desserts with a visual expression that makes “über indulgence” accessible, frozen brands can harness the transformative power of premium design to redefine the consumer’s view of the category. The brand Decent dials up cues of craft, illustration and texture to signify a sense of prestige, while The Saucy Fish Co. – a brand that has traditionally offered ‘chilled’ products only but has expanded into ‘frozen’ since recognising the category’s growth potential – uses the striking simplicity of black and colour contrast to place frozen fish in an elegant, desirable space. Consumers are looking for an intersection of health, convenience, quality and most importantly, excitement, from their food, and ‘frozen’ is in a unique position to tick all of these boxes. Icons should use their expertise to lead change and elevate the category, while challengers can take bold advantage of the glaring gaps in the sector by pushing the boundaries of expectation through ingredients, format and design. For both, it’s about enticing and adding desirability and value for a discerning consumer looking not just to find the optimum in healthy and seamless convenience, but wanting to explore, discover and enjoy the new flavours and food experiences that are going to define a ‘cooler’ future for Frozen. Originally published on Food Matters Live here.